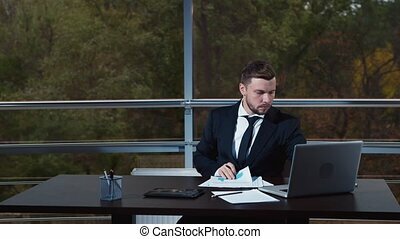 Businessman working at a laptop in the office. 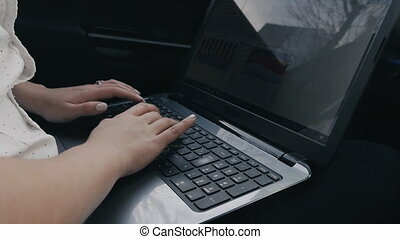 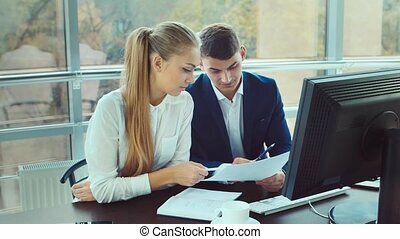 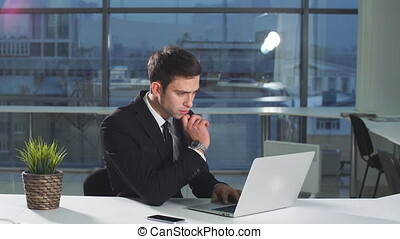 A young businessman in the modern office using laptop, working. 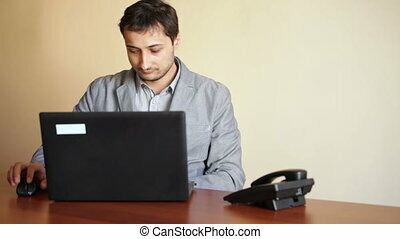 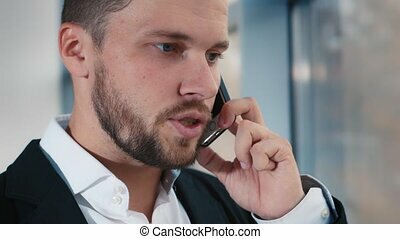 Man takes a call working at his laptop in the office. 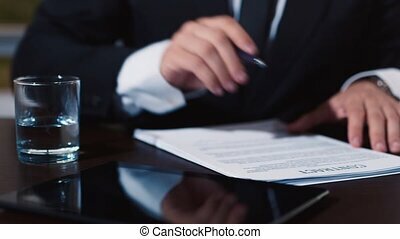 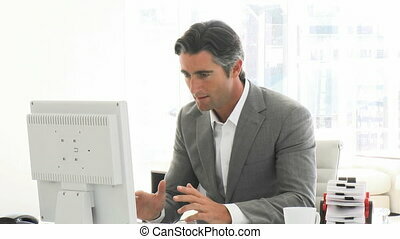 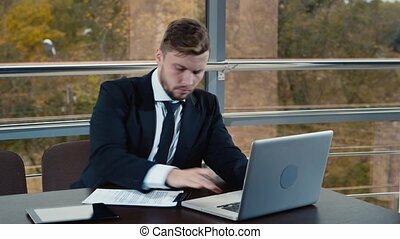 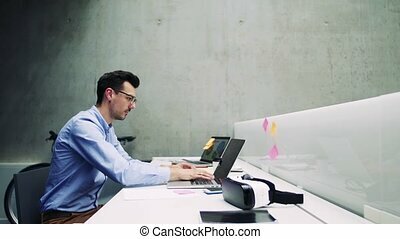 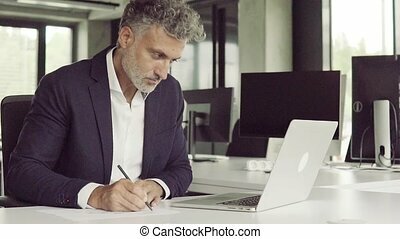 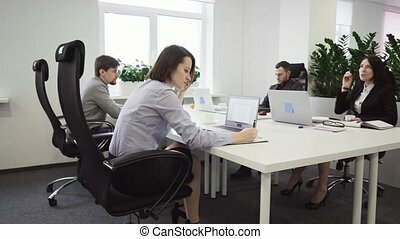 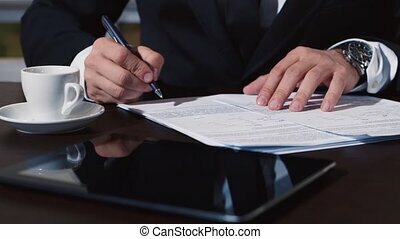 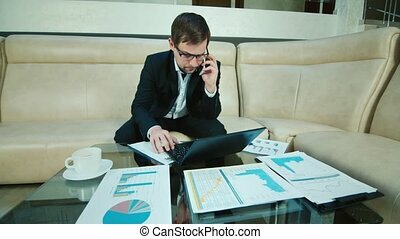 Mature businessman with laptop sitting at the desk in the office, working. 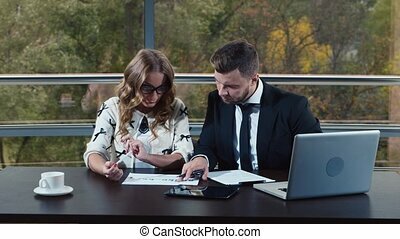 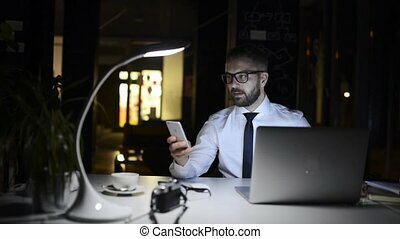 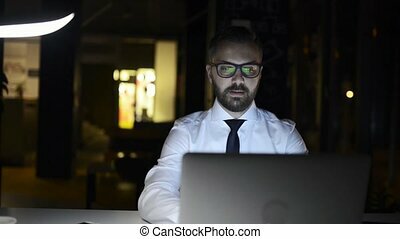 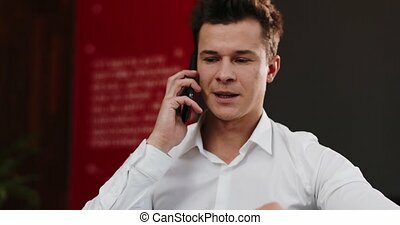 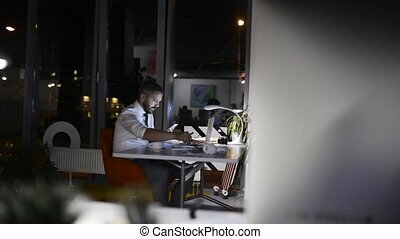 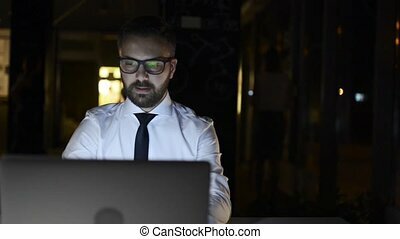 Thoughtful hipster businessman with laptop and smart phone in his office working late at night. 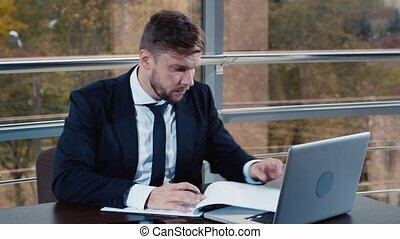 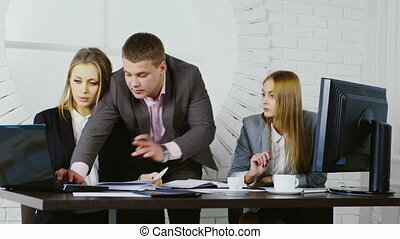 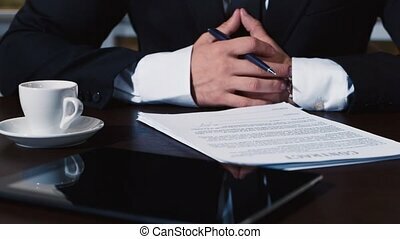 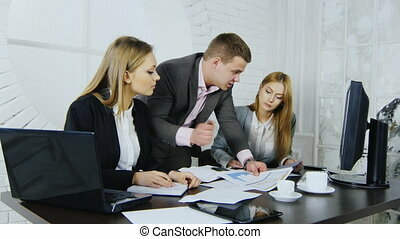 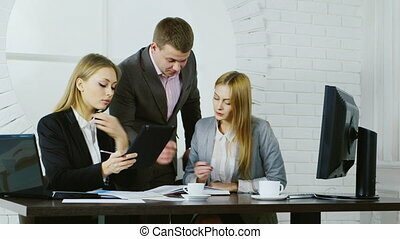 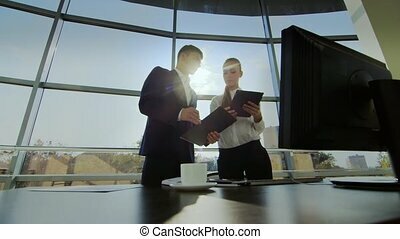 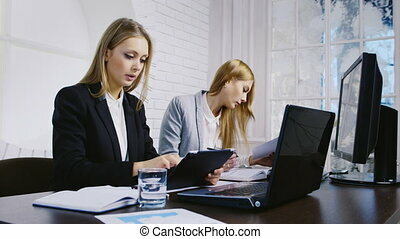 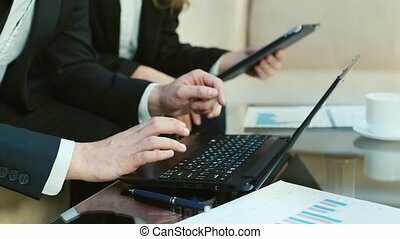 Mature businessman with laptop, in black suit sitting at desk in the office, working.